1955 Buick's received major revisions particularly to the front and rear. The front grille now sported a center ornament and it was the first time since World War Two that they hadn't used vertical bars on the grille. At the rear there were the beginnings of a fin with large chrome taillight housings. At the side the familiar "Sweepspear" was still there from the previous year. 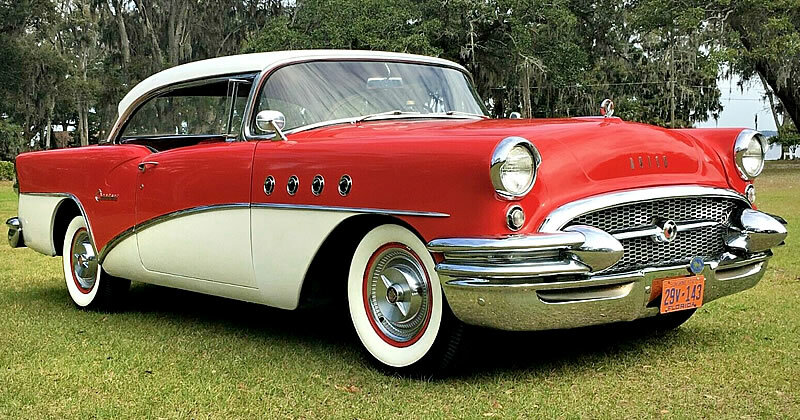 We can see these great new lines in this 1955 Buick Century 2-door Riviera Hardtop. Riviera was the name Buick gave to it's pillarless hardtops (until it because a completely different model in its own right in 1963). This more sportier look would then become a popular trend for other manufacturers to follow. The Century featured four ventiports on the front fenders, as did the Super and Roadmaster - the Special featured only three. The Century and Special shared the slightly smaller Buick wheelbase at 112 inches. They came in at 206.7 inches long. This was Buick's high performance vehicle. This was achieved because it had the lighter body of the Special but with the bigger engine of the Super and Roadmaster. 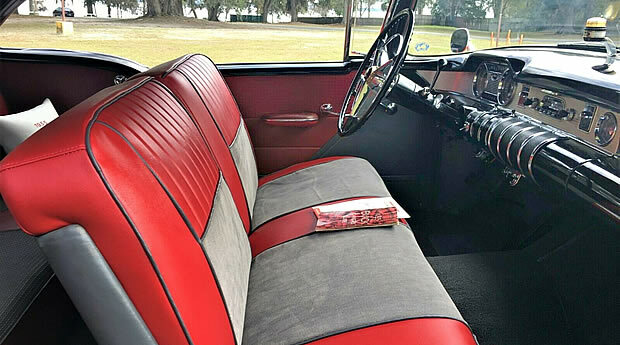 Inside there is a nicely contrasting red and gray interior. Note the quilted door panel inserts. Power comes from a 322 cubic inch Fireball V8 with 4-barrel carburetor producing 236 horsepower. This is paired with a Variable Pitch Dynaflow Drive automatic transmission (a $193 option) that was the new and improved version for 1955. Not only was it more efficient, slashing acceleration times, but was more fuel efficient too. Buick made a total of 80,338 2-door Century Riviera Hardtops for the 1955 model year. This car would have had a base price of $2,601 when new and was the most popular Century that year. 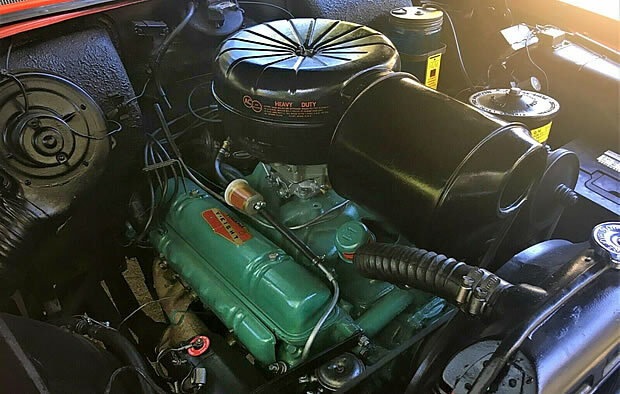 The original owner, in addition to the the Dynaflow transmission mentioned above, opted for power steering at $108 and an AM radio at $120.